For the first two weeks of April, Severed Press writers are conducting a series of interviews. If you follow me on Facebook or Twitter, I’m sharing as many of them as I can. What makes them all so interesting is getting inside of people who write creature features and monster books. Today I am posting my interview of Doug Goodman, author of the Zombie Dog series. What inspired you to write the Zombie Dog series? I do not remember the exact moment that I put human remains detection and zombie work together and decided to write a book about it. It must have been over a decade ago, pretty close to when I first started working with cadaver dogs (or as they are now known, Human Remains Dogs (HRDs)). We were trying to think up different scenarios of how to challenge the dogs, and I wondered if, like how a trailing dog is following somebody moving, could the same thing happen to an HRD. “But dead people don’t walk,” I remember thinking, and then the whole thing clicked. The Zombie Dog Series is currently three books: Cadaver Dog, Dead Dog, and Zombie Dog, and I am working on the fourth book, Ghost Dog. All my books are published on Amazon. So how is the Zombie Dog Series different from any other zombie series? The “zombie apocalypse” didn’t happen the way most people think. It looks a lot like the world today, but with zombies that need to be captured. I really wanted to look at it from a biological standpoint. So the zombies are controlled by parasitic wasps, which use dead people as part of their reproductive life cycle. So everything about zombies is different. It all comes from the very specific viewpoint. I am a dog lover, and these are books for dog lovers and horror lovers. “Dog books for adults” I like to call them. 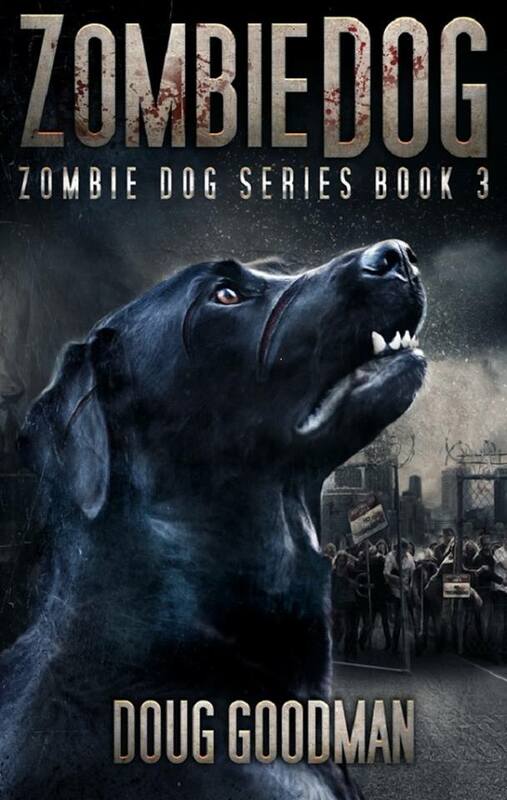 Can you tell us something about the titular “dog” in the Zombie Dog series? Murder. He is a left-for-dead mutt that the main human character, Angie Graves, finds on the side of the road. She thinks he is dead because a murder of crows is surrounding him. It’s only after she passes him that she sees his head lift up in her rearview mirror. But that’s how he got his name. He is a dog that is scarred emotionally and physically and has a dark past of abuse that has turned him into something less than ideal for a working dog. It’s that journey between Murder and his handler, that I think is the center of this book series. That, and of course, the zombies. Oh, man. This one is much gorier than the first two. And scarier, if I’m being honest. It’s weird to me that the books seem to get, not necessarily darker, but wilder, with each new book. In Zombie dog, the first chapter, and the way it ended, was something I had dreamed up years ago. It was a scene of something so horrible and gruesome, but I didn’t have a place to put it. When Zombie Dog came along, I knew it was right for it. I also really liked adding Houston into the story. I’ve lived in Houston for years, but I’ve never officially written about it. By moving the characters to Houston, I was able to dig into a lot of local color. Give me a for instance. A few years back, my wife and son went to see a Cinco de Mayo parade. I’ve seen them before. They are usually small things. But the one in Houston was this wonderful, gigantic affair with hundreds of vaqueros on their horses and big floats and dancers in Aztec costumes. The experience felt very unique, and of course, I wondered what it would be like to track a zombie through a parade like that. So that’s how I came up with this scene where Murder and Angie are helping the police to track a zombie through a parade route. The zombie had long since passed the route, but all the scents and the way that scent is swept up by a parade made for a gruelling trailing challenge. It was very fun to write. Stepping away from the series, I want to finish with a different kind of question. What do you do to unwind and relax? I am a chill in the backyard, drive in the Jeep kind of person. Hiking, camping, backpacking, those are my relaxation techniques.